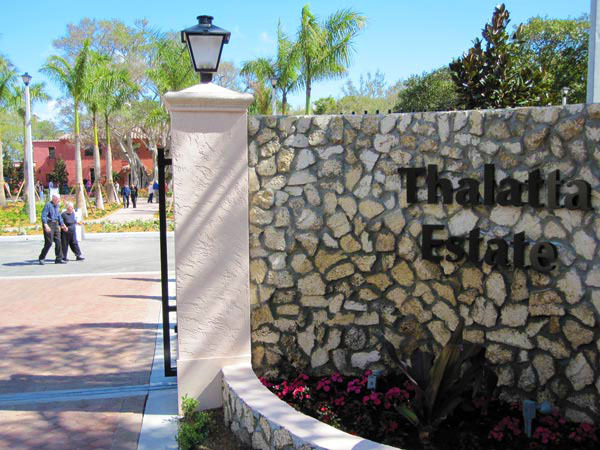 Yesterday was the official opening of Thalatta Estate, a brand new park for the "Village of Parks", Palmetto Bay. Billed as an event park, this 4 acre property is designed to host weddings and other special events that want to showcase Biscayne Bay as their backdrop. 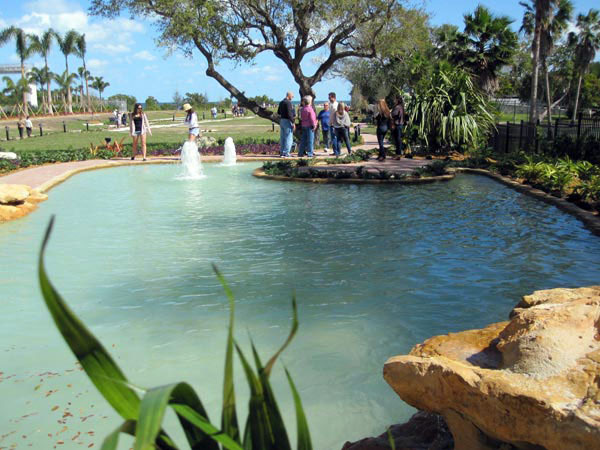 Located on Old Cutler Road at SW 173rd Street, Thalatta Park was purchased by the Village of Palmetto Bay in 2005 in order to save the 1926 estate originally designed and built by the Connett family. 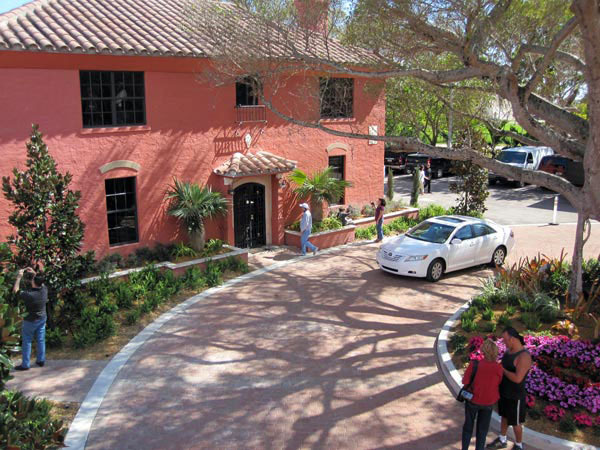 Great pains were taken to keep the property’s old residence and carriage house true to its historical appearance which includes, terra-cotta paint, round-arched openings, ornate tile flooring and Spanish-style wrought-iron fixtures. New areas have been worked into it that include a reception lobby area, an upstairs room with closet and mirrors for the bride, plus other special features. Bridal area complete with private bathroom, balcony, and kitchenette. Balcony for hosts (presumably the bride) to overlook the arriving guests to the banquet hall. The special events coordinator, Mary Fernandez, is excited about the possibilities of the newly completed facility. 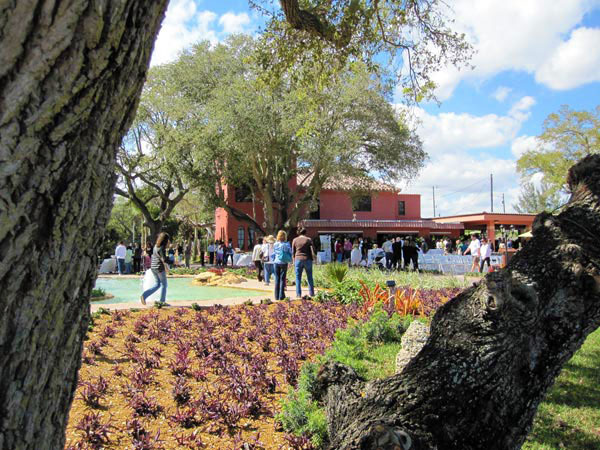 "It’s a new venue for special events that offers something so unique," Fernandez said. "Your wedding planner or party planner can come out and see this place and be wowed by the fact that it’s on the water. It has a historical component to it with the old home and the fact that we put so much thought into how to make it such a special event venue. These are all things we’re proud of." 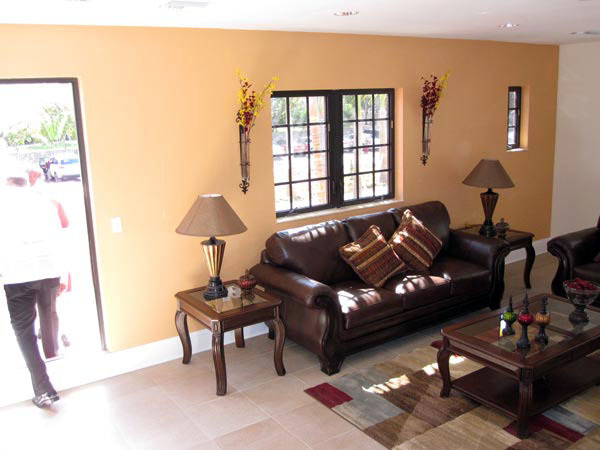 The facility has a catering kitchen and a beautiful lawn area. The Village designed the facility to handle events from 20-200 people, where both would feel it was perfectly sized to their needs. Nearly three acres of the property are devoted to the great lawn. This lawn is not only great for events, but for Villagers who just want to visit and walk around the grounds. At the end of the lawn is a beautiful setting for a wedding ceremony. The gazebo overlooks beautiful water and afternoon lighting should be perfect to highlight bride and groom. Prices will range from $155 for a weekday Gazebo rental to $4,000 for a Saturday rental of the entire property. There is something for everone. My kids discovered an unrestored boat launch and bench. Looking northward, you can just make out Deeing Bay. Although not yet open to the public, I was able to take a few pictures of the still under restoration main house where receptions will take place. Note the beautiful original tile work. Great article by Dr. Ed Feller, one of the principals who helped Palmetto Bay acquire the property.